Concord Community of Artists is thrilled to announce our new art show! Click here to download our flyer with more information. Each of our 14 participating artists was asked to interpret and express an aspect of their identity. Some are exploring this concept through their ancestry, others are creating work that speaks to their ethnicity, culture or nationality. Each piece will include a written narrative about their inspiration, artistic approach and what they discovered about themselves during the process. How we understand and interpret ourselves today - in the present - expresses the continuity between where we came from (our past) and what we aspire to be (our future). What a wonderfully reflective approach for artists and art students to consider when creating personal works of self-expression! 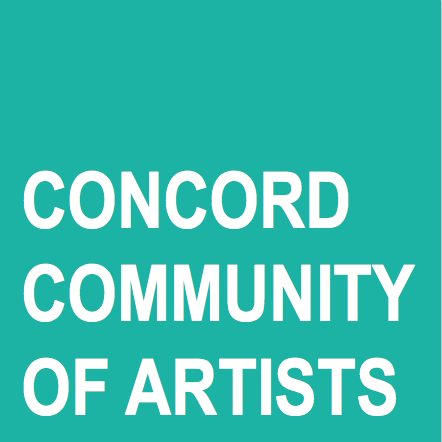 Concord Community of Artists develops mutually beneficial opportunities for artists to come together and work with local businesses and service organizations to celebrate the value and positive impact of the arts and how it strengthens the vitality of our entire community. 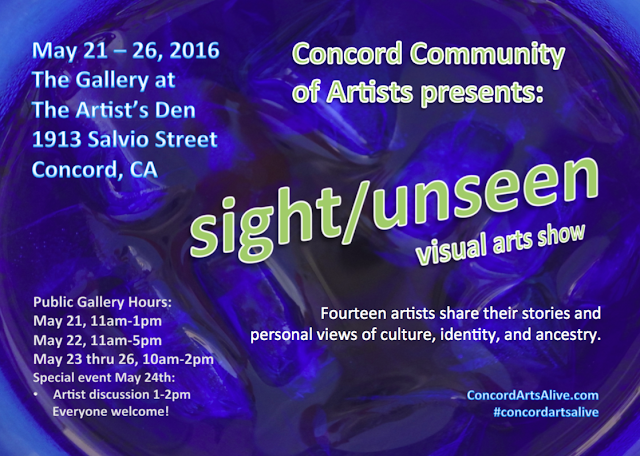 We are honored to present sight/unseen in partnership with The Artist's Den, which is operated by Futures Explored, a non-profit organization that provides work training and recreational programs for Bay Area adults with intellectual and developmental disabilities. The Artist's Den provides weekday art programs to their clients and operates an art gallery to exhibit and sell their work. 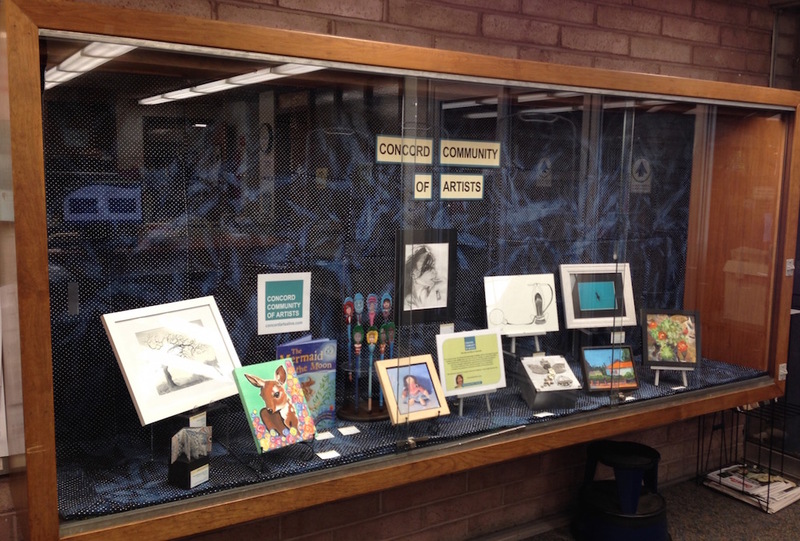 Visit the Concord Library this month! Our "Small Works" will be on display right inside the front entrance to the Concord Library through April 29 - it features a variety of art, craft and writing from local artists. From acrylic and watercolor paintings to photography, drawings and more, you'll enjoy looking at each and every piece. Pricing and contact information is listed on the ID tags so you can make arrangements to bring one of these delightful small works home with you.